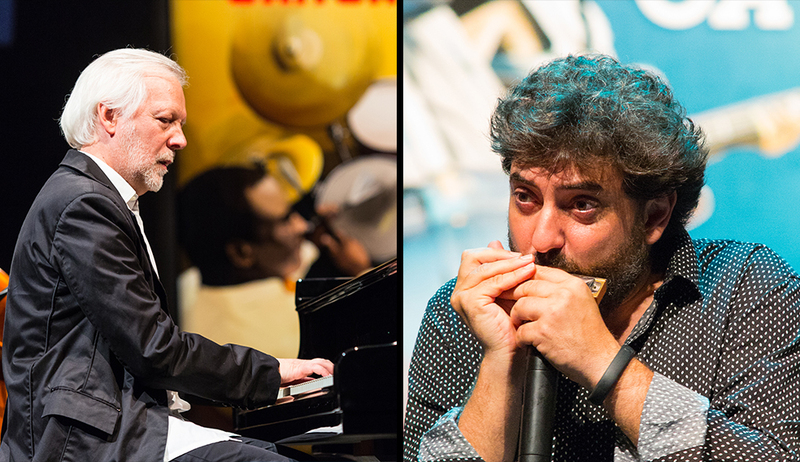 Two of the most respected musicians in Spain, and favorites of Jazz San Javier, who form part of the sentimental history of our festival thanks to all the marvelous nights they have shared with us in previous editions, offer this highly anticipated collaboration. Ignasi Terraza, the best jazz pianist in Catalonia, a musician with an amazing sensibility and sense of Swing, and Antonio Serrano, incomparable master of the harmónica, who performs brilliantly in diverse styles like jazz, tango, flamenco or blues, to the point where we can affirm, without exagerating, that he is the most versatile harmónica player in the world. These two giants of their respective instruments are the pride of Spanish music. A concert not to be missed, a meeting of the best European jazz, which is one of the main attractions of the 21st edition of the Festival.